There are many reasons to deal with the past, below are 10 good reasons to confront the and be done with it. 1. It will always be brought up by the enemy/friends – It will be used against you and you need to be ready and be prepared for it. Expect it and it won’t surprise you when mud is being thrown at you but guess what, it won’t stick because you had taken the time to deal with it. 2. Learn and Grow – Learning from our past mistakes prepares us for a better future. Except you are prepared to be honest with yourself and take the time to learn the painful lesson now. You are most likely to repeat them again. Don’t pay the price twice. 3. Humility – If you truly learn from your painful past experiences then you are certainly full of humility. Those that are holier than thou are full of pride and arrogance. Pride leads to a fall but God lifts up the humble. 4. Help others – Out of your painful past experiences healing can come to others. If one life is touched by your painful experience then your job is done. I hate divorce with a passion and I pray that others can learn thru my experience and never had to go thru it. 5. Discover your gift – Often our gift and talent lie within our most painful experiences. You will never discover what is truly on the inside of you until you have walked that path less travelled. We are created to solve problems and there lies your gift and talent. 6.Stronger – You are stronger than you think you are. What doesn’t kill you only makes you stronger. You have come a long way and overcome so many obstacles that others have committed suicide over. Walk in that strength and own it. Don’t be ashamed or overly humble; embrace your inner strength. You have survived and you are a Victor NOT a Victim. That is not arrogance, it is confidence and don’t let anyone tell you otherwise. 7. Stay focused – When you deal with your past, it helps you stay focused on your dreams, inspiration comes, you can think clearly. There is no reason to revisit it anymore because it is settled. 8. Healing – Confess all to God – God is the ultimate secret keeper, confess your sins and past deed to Him. Find yourself in the bible, the bible is our reflection and all answers are there. Ask for forgiveness and let God bring healing to your pain and let Him carry the load for you. 9. Forgive yourself – This is the hardest part for most people, it is so easy to forgive other but we find it difficult to forgive ourselves. I am guilty of that too but I have learnt that it is a continuous process. 10. Foundation – You cannot afford to build on a shaky foundation, it will all come crumbling down if you don’t take care and do the necessary work needed now. There are too many children of God dragging around baggage from the past, unable to or not knowing how to deal with it. Many times I hear from pulpits, sermons on dealing with the past, but the practical application, that is the HOW to, is not always covered. 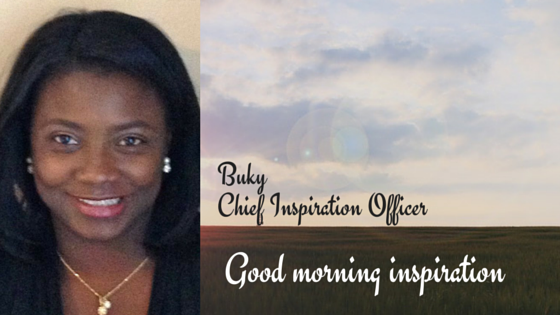 You have joined the dots with this post, by covering every angle.Thank you, Buky as you have truly encouraged and blessed me with this post. I pray those who need this advice (like me), will not just read it, but will apply it – NOW! Ms Carole, Always great to read your feedbacks. From my own personal experiences, I found that this must be a continuous process, its takes time to get rid of old habits. you’ve mentioned useful/helpful reasons for dealing with the past. i subscribe to the school of thought which looks at our failures as stepping stones to progress. Ayo, every painful experiences are there to teach us something. In retrospect it can also serve as the catalyst needed to change our lives for the better. Bomi, thanks for stopping by. Hope you are enjoying your birthday this week. Have a blessed week.